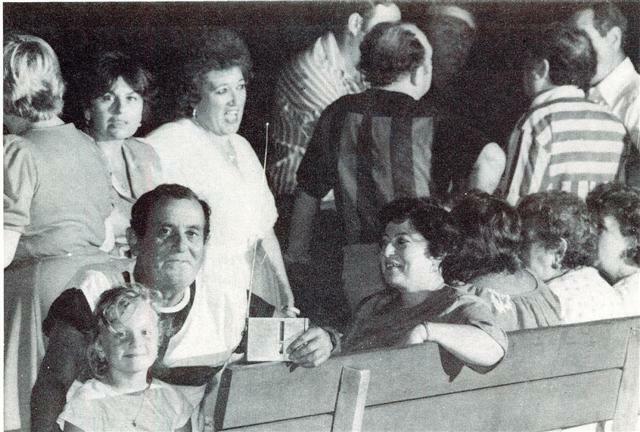 The crack in the Iron Curtain during the 1970’s and 1980’s enabled thousands of Jews to reach the shores of the USA and the Holy Land. These oppressed Jews fleeing for their lives and shivering from cold, hunger and fear arrived with no money and no language. Hope and determination would sustain and lead their way. It was during this era that Chamah expanded its activities assisting our fellow brethren. The continuous stream of Jews trickling out of the Soviet Union brought about a great demand to establish a Center which would cater to their needs. With this in mind, Chamah began the construction of the Chamah Meyerhoff Center located in the southern coastal region of Israel, Kiryat Malachi, where many Jewish refugees settled. The campus, consisting of two large building situated on beautifully landscaped grounds would house dormitory apartments, kitchen, classrooms, dining room, lecture hall, publication center etc. 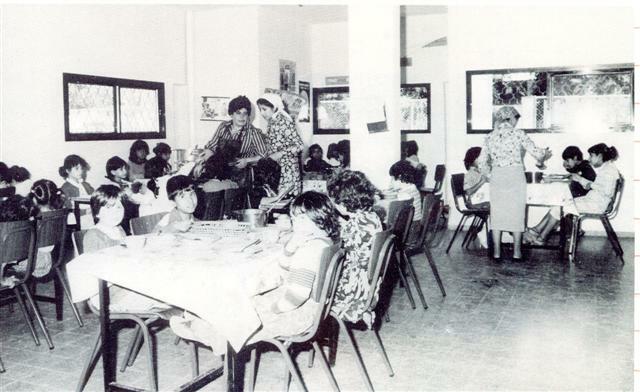 One of the first programs to be operated at the Chamah campus is a dormitory school for refugee children. With no home to call their own, Chamah has adopted them both materially and in soul. Providing these children with a full curriculum of both secular and Jewish studies, combined with informal learning opportunities, our former students, now married with families of their own, are holding responsible positions in their respective fields of training. Immigrants from all over Israel enjoy the Shabbatonim that Chamah operates. Through an informal learning atmosphere, “A Weekend with Chamah” provides immigrants with the Shabbat experience in a relaxed setting. Participants enjoy festive Shabbat meals, discussions, lectures, song and prayer. Special activities are arranged for children. Educating our youth is our promise for the future. 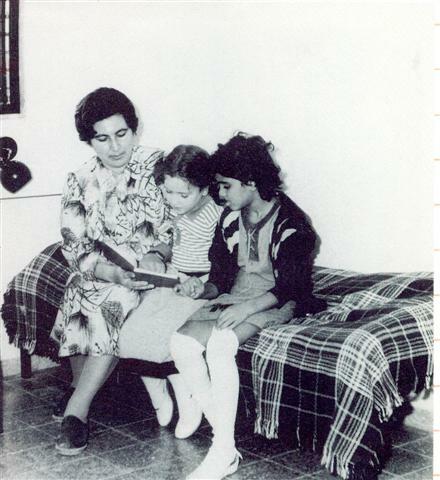 Chamah founded educational institutions throughout the country such as Tzfat, Rishon Letzion and of course at its campus in Kiryat Malachi. With limited or no Jewish background these youngsters are eager to learn about their Jewish heritage and traditions. A thorough program of secular studies are also part of the curriculum. Various activities such as dance, art and cooking are offered. Thousands of youth have been educated through the Chamah schools which are now being operated through the Ministry of Education. The Israeli educational system is comprised with an abundant and diverse variety of schools and institutes. Each child can find the institution conducive to his learning capacity. Chamah operates a special division to help new immigrants understand the system and choose the educational center suitable to his needs. Whether high risk adolescents, children from broken homes or challenging children; hundreds of youngsters and teens have been placed in suitable schools. Affiliated with government agencies and private foundations, Chamah activists set up counseling services throughout the country. The newly arrived immigrants received free guidance in seeking housing and employment. Chamah arranged interest free loans with low monthly returns. 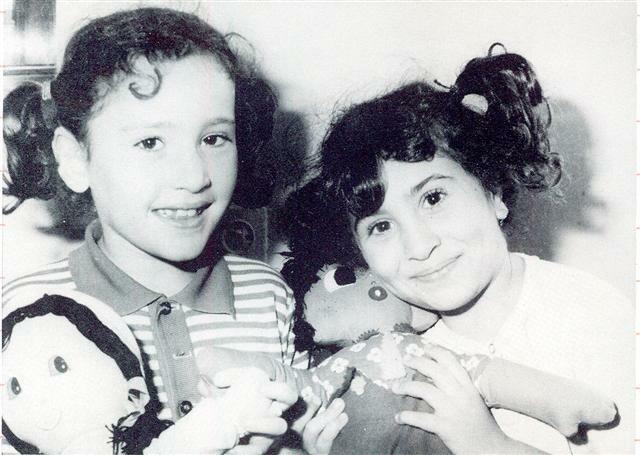 The advice and monetary help proved to be significantly valuable in helping to settle the rescued Russian Jews. Chamah instituted and published its weekly magazine, Alef. It was then the first and only Jewish weekly magazine in the Russian language to be read and distributed worldwide. Its readers from all over the globe till today enjoy the assortment of topics on current events, health issues, general Jewish knowledge etc. In an extraordinary move that demonstrated the growing respect and support for “Alef Magazine”, NYANA- the New York Association of New Americans supplied every Russian Jewish immigrant with a complimentary subscription. 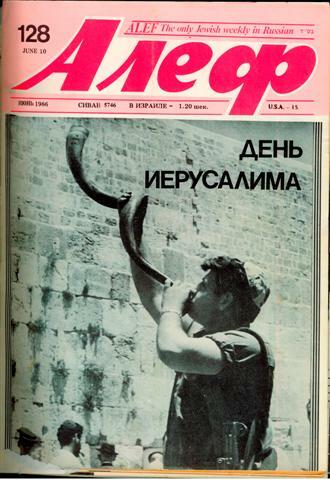 “Alef -The Jewish Weekly Magazine in the Russian Language”, has rapidly become the primary source of general and Jewish information for Russian speaking Jews. It is read by tens of thousands of people worldwide. The physical and spiritual oppression coerced upon the Jewish people behind the “Iron Curtain” has left them ignorant of their Jewish culture. 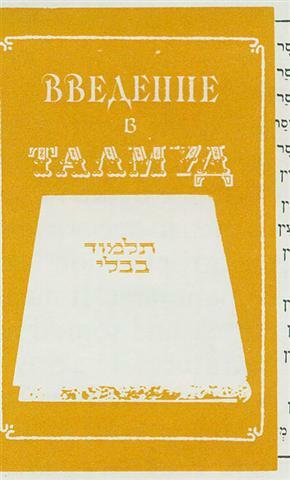 Thirsty to learn about their Jewish history and culture in their native language, Chamah responded to this great need and began the publication of many Jewish classics translated to the Russian language. Thousands of copies of Jewish literature were quickly bought off the shelves from dozens of bookstores. Chamah established Radio Horizon, the only daily radio program in the Russian language and the broadcasting arm of Chamah in the New York metropolitan area. It airs an exciting and fascinating series of programs developed for its use by the Russian section of the Jewish Agency in Israel. The success and interest in Radio Horizon has been phenomenal and the letters received have been of special importance demonstrating just how valuable the show has become to the over hundred of thousands of listeners, both new immigrants and old. They stop whatever they are doing to tune in each day. 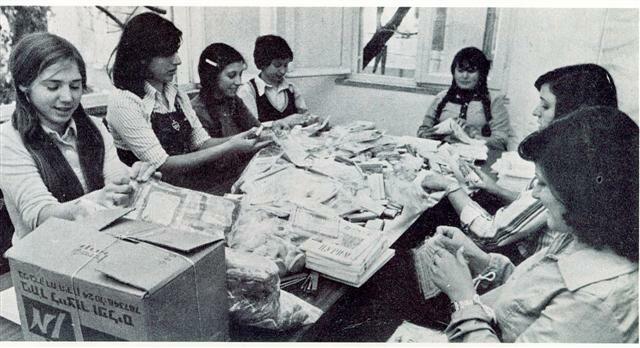 In 1989, with the glimmers of Galsnost and Perstroika the shifting Soviet government hosted its International Book Fair in Moscow. Its browsers found ample evidence of Jewish literature at Chamah’s booth. Having published numerous works on a variety of Jewish topics Chamah’s stand was a popular spot visited by thousands of eager readers. In most countries, the victims of any type of disaster are able to turn to the Federal Government. Back in Soviet Russia, where the government and its citizens were themselves in dire need, the victims of the Chernobyl disaster have turned to many organizations for help. Chamah took upon itself the tremendous job of trying to alleviate some of the suffering brought about by the disaster. In gratitude for the help Chamah has provided for the families, the picture shown above was sent to us by the “Heroes of Chernobyl” those who extinguished the fires at the nuclear reactor.